The tourney is being held at a local hobby shop, and takes up a huge space with 8 long tables set up on one side. The place is filled with thousands of comic books, board games, Magic and D & D books, chess sets, models of dragons and warriors, lots of different sized dice, a huge jewelry style glass counter filled with rare Magic cards, and a massive NeverWinter sign by the door. The 3 boys check in, pay their $5 entry fee, and I have to sign off on the one that’s under 13. Running the tourney is a pretty girl with long blonde hair. She reads off the match ups and everyone tries to find their opponent, then they settle down in chairs at the long tables, opposite each other. I’m a little nervous for my first-timer boys. Some of these dudes are looking mighty pro. They have special Magic playing mats that look like giant mouse pads. All their cards are in little plastic protectors. They shuffle their decks carefully, then face off against each other. I’m sitting off to the side with another mother-watcher. I’m curious to see what’s going on, so every once in a while, I amble by and eavesdrop on my boys’ games. What I’m hearing is interesting. The more experience older kids/students/adults are explaining the rules to my newb kids in polite, helpful tones. They get down to business, and fairly quickly, 15 minutes or so, the kids start to fall. I see one of them pack up his deck, rise, and start to walk away, when the pro calls him back again. I figure it must be 2 out of 3 games for a match then. Good. I’d hate for it to be over so quickly for the boys – they were so looking forward to tonight. A few minutes later though, and the first round is over for them. Their faces look dejected, and I casually walk over. “So you lost, huh?” I ask. One of them groans and says “I was annihilated!” But then, something cool happens. The pro, who just creamed one of my kids, is giving them tips. How to build your deck, strategy, and more. He says beginners don’t really have a chance at the Friday Night Magic as it is Legacy, and it might be better to try the Tuesday night tourneys which are Standard. You see, Legacy means player can use any and all Magic cards, including the older, valuable, super powerful cards. Which of course, we don’t have. The boys are making new friends, and the pro’s are guiding them and teaching them how to play, not just going for the win. They’re sharing tips like your deck should be at least 60 cards: 24 land, 26 spell, and 10 monster (with lots of 2 mana monsters), and you should have a 15 card side deck. I head over to the pretty blonde running the show and ask her “So what now? What happens if you lose?” She explains they are using the Swiss rules, which means all players will be matched up against similar level players, and they will play for the whole time. Also, at the end, win or lose, everyone gets a special promo card. And so I watch and wait. 2 of the boys have to play against each other. Obviously one will lose. Finally it’s over. The 2 younger boys lost every match; the eldest won only a few. They shake their heads, beaten but determined. They talk deck strategy, tired, but excited about plans for building a better deck. Still, it seems appropriate to grabsome pizza and rootbeer. To celebrate our first Magic: The Gathering tournament. My boys are in heaven. Thank goodness we brought some extra cash. Thank you oh wise ones, you Magic pro’s, for teaching my boys. And I tell my boys, “Someday you’ll be the pro’s, and it’ll be your turn to pay it forward to the younger inexperienced players.” And the circle continues. 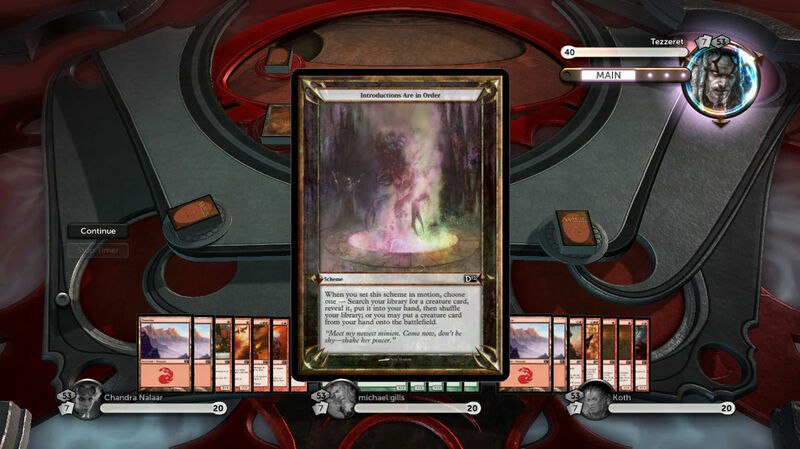 Magic: The Gathering, aka MTG or Magic, is a collectible trading card game that can be played by 2 or more players with a deck of physical cards, or online with a deck of virtual cards. Created by Richard Garfield and published in 1993 by Wizards of the Coast, Magic has around 12 million players as of 2011. Garfield, a doctoral candidate in mathematics, was a Dungeons & Dragons fan who loved games and puzzles, and designed his first game when he was just 13. To play Magic, you buy trading cards, build a deck, then battle. Magic is similar to YuGiOh, but more like a Dungeons & Dragons fantasy role playing trading card game – yet not as paper and pencil intensive as D&D. You play the role of wizard – or “planeswalker” – and use your deck of cards of characters, creatures, spells, and items to battle other players. Magic is a game of strategy and chance – every game will be different, depending on what is in your deck, and what cards you draw. The best part about a trading card game is that it’s always changing. You design and build your own unique decks, and each Magic game you play is different. Buy the trading cards in stores, or online. I’d start with the Deck Builder’s Toolkit, which gives you 285 cards for around $20 – 225 cards + 4 15-card booster packs + a helpful deck building strategy tips guide + a sturdy storage box. Then you’ll want to trade cards with other players, buy some expansion packs, or head to your local hobby shop and buy only the cards you need. White: The color of Justice White spellcasters use superior tactics, efficient creatures, and the power of righteousness against their foes. Blue: The color of Wisdom Blue mages focus on using superior knowledge to gain control of a battle, and slowly gain the upper hand. Black: The color of Ambition Black sorcerers are willing to do whatever it takes to win a battle, even if it means sacrificing everything to do so. Red: The color of Chaos Red conjurers try to win as quickly and dramatically as possible, smashing and burning their way to a quick victory. Green: the color of Nature Green shamans win duels through the brute force of mother nature, summoning giant creatures to squash their enemies. 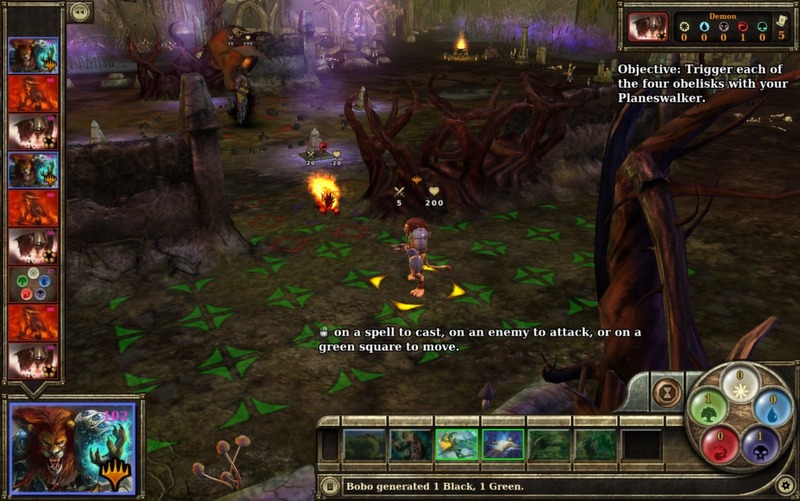 Examples of deck themes are Red Burn, White Equipment, Library Depletion, Elves, Mana Ramp, Blue-White Fliers, Vampires, Black Discard, Battle Cry, Green-White Auras, and Metalcraft. You may want to build multiple decks, to try out the different cards and see what fits your playing style. If you know what type of deck your opponent uses, you may want to use a particular deck to battle more effectively. Sanctioned formats are split into two categories: Constructed and Limited. Constructed formats include Standard, Block Constructed, Extended, Vintage, and Legacy. Limited formats include Sealed Deck and Booster Draft. All 4 of our kids have physical decks and have purchased the online $10 game. We’ve found the best thing about the online game is you can play with other players remotely – the kids are able to duel their friends online. There is also an AI, if you want to play against the computer. The only drawback to the online game is you don’t get to choose your own specific cards and build your deck. You are given a deck to start the game, and then awarded random cards as you win. Overall, Magic can be as complicated and intricate as you like. Or it can be simple and straight forward. Games can be long and complex, or short and sweet. You can match the deck to your playing style and your opponent. My 16 year old duels it out with hard hitting, complex combo’s but my 9 year old battles with a simplified deck. You can study and research to attain the ultimate power deck, or you can buy a deck builder set, build a quick deck, and just start playing and learn as you go. Don’t be intimidated. Magic is fun. Give it a try! a better player for this game and also thanx for this video..
My 8 (will be 9 in 2 weeks) year old son is very interested in playing MTG and has friends whose fathers & older sibs have been playing for years – MTG came out after I had left gaming & comics and I don’t know how to play at all. I appreciate these posts to help me advocate for him, as I am not always well received at the shops. I’ve got one shop to host a demo for him to teach him how to build a deck and hopefully hook him up with some other newbie little kid players. THank you for your help – I think as parents we all want to help facilitate the interests of our kids while also protecting the younger ones against the need to feel defensive for not knowing something or for just feeling left out. I’m very much hoping this will be a gateway to a new hobby for him with some new friendships and confidence building. If you are just starting out, I highly recommend purchasing a Magic Deck Building Box ($20). There are instructions inside that will help you build your deck and play. And you can’t beat the value – the Deck Building Box comes with 285 cars including 125 semi-randomized cards, (4) 15-card booster packs, 100 basic land cards, along with a deck builder’s guide, a Magic “learn to play” guide, and a storage box. You could buy a Core box ($40), but my kids usually opt for the Deck box. When you are building your deck(s), keep in mind there are many different kinds of decks and you may choose to build more than one. For example, my kids have a number of decks including: mountain (red), forest (green), island (blue), swamp (black), plains (white), tribal (black + white), library depletion (certain blue cards), El Drazi (colorless), spirit (blue), infect (black), and wolf (red + green). It all depends on what cards you have – use the best cards you have, to build the best decks you can. Also, you may want to switch decks depending on what type of deck your opponent is using. I absolutely believe that as parents one of our main jobs is to be advocates for our kids. If you’re not well received at a game shop, then try to find a different one. Most Magic players I have met are extremely helpful. I understand your concern about feeling defensive for not knowing, or feeling left out. Sometimes a bad experience can turn a kid off from trying or learning something new. Especially if it’s overwhelming or confusing. It would be good to get your son to play against kids his age, or anyone at the novice level. It’s no fun to be beaten all the time. The more you play, the better you get. I would definitely recommend you learn how to play yourself, and play with your son; in the process both you and your son will become better players. Your son could start a Magic club at school, or if he’s homeschooled, he could start a community one. I’m always surprised how many people play Magic! Consider having a Magic night at your house and invite a few friends, siblings, and parents, and have your own friendly tournament. With pizza, of course. Magic is a great, fun hobby. Decks are always evolving, and every game is different. Magic is portable, flexible, strategic, requires thinking, and gets you playing with other people. My son has just been introduced to Magic. He is going to be 8 next month. Is this an appropriate game for that age or would it be better for 10+? I will do my own research, but thought I’d ask those of you parents who are involved what you think. Thank you! Magic is a great game for kids who are old enough to read, can do simple math, and like strategy games. I think it’s an appropriate game for an 8 year old, but I think younger players benefit from having an older mentor – someone to show them the ropes. Especially, how to build a fun and competitive deck. (No one likes to get beaten all the time…) Magic is a game of strategy and luck, and is great for a kid with a longer attention span. I would recommend reading through the guides that come with the cards, and spending some time at your local board game and hobby shop. Just hanging out – asking question, talking, playing a few rounds – is invaluable. Also, if you’re just starting, I’d recommend the $19.99 Deck Builders box, and also if you want specific cards to strengthen your deck, try Troll and Toad. My boys are all over at a friends house right now, on the 3rd day of a giant 4 player, 2 teams, 3 day Magic tournament. #fun! 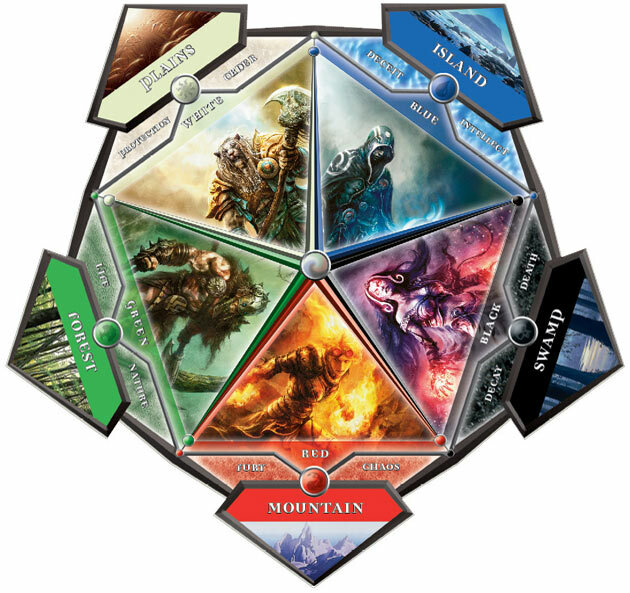 where can i buy MTG booster packs boxes online? Try Amazon.com or TrollandToad.com to buy online. Or make a trip to your local Target. Or even better try your local game and hobby shop.